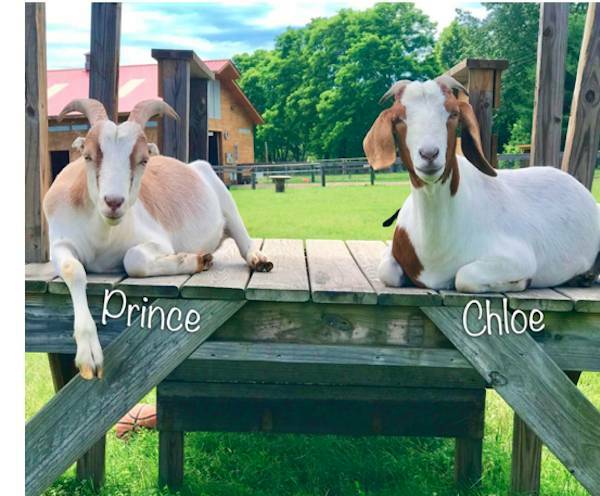 In the past two years, Chloe has been able to nurse Prince, teach him, and raise him to be the playful and affectionate teenage goat he has grown to be. In the fall of 2015, Woodstock Farm Sanctuary rescued 20 terrified animals from an abusive and neglectful backyard butcher, and many of these animals were pregnant mothers-to-be. We got there just in time so they didn't have to give birth in a dark, filthy stall with no medical attention. Soon after Chloe the goat arrived at the Sanctuary, she gave birth to a boisterous baby boy named Prince. Today, Chloe and Prince are still bonded and the pair grazes, naps, and plays together and are never too far apart.